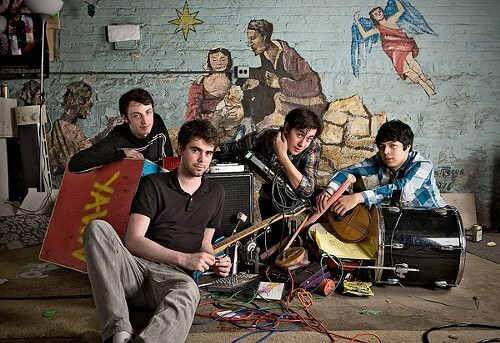 When Miles Raymer first profiled local indie-pop outfit Yawn in 2010 the four-piece were keen on doing things themselves and releasing music on their own. They've since signed with Brooklyn's Old Flame Records, which has released music by brooding indie darlings Cloud Nothings and lo-fi punks Potty Mouth, among others; today the label drops Yawn's sophomore album, Love Chills. The band's broadened their catchy, psychedelic electronic sound, veering towards low-riding dub at the end of "Flytrap" and mixing in wistful folk that reminds me of Midlake on "What's in the World." Yawn celebrate the release of Love Chills tonight at the Empty Bottle; Raw McCartney and Kangaroo open. Prepare for the show by listening to "Flytrap" and "What's in the World" below.